Recently, I needed a bunch of EPS files for EAN-13 barcodes (that’s the kind of barcodes European companies put on their products). 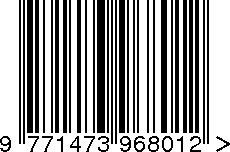 Terry Burton wrote a great barcode writer in pure PostScript for this, with a simple web front end to generate a barcode one at a time. Since most DTP packages favour EPS over PS, and I needed more than just a few of them, I went a bit beyond the one-at-a-time simple web front end. In fact, the EPS file generated by Terry Burton’s web front end has just one variable: the article number. Ever wondered why since a couple of weeks you cannot preview TIFF attachments (like FAX images) in GMail any more? It’s because GMail has (hopefully soon had!) a bug handling little-endian TIFF images: the preview of your attachment might reveal someone else’s! While fixing it, GMail seems to have disabled the preview for all TIFF images. Jaffar Rumith found about the bug more than a year ago, then rereported it, and blogged about it (GMail + TIFF = ? « Scientia potentia est). Soon after his blog post got published, the bug got acknowledged (hopefully that is not cause and effect). Viewing TIFF attachments didn’t work for a while either, but now works again. This just had this happen on a Windows 2003 server with a client’s client. Searching for “iis 404 2 1260 asp.net” found this top from Marc Valk, that solved the issue: ASP.NET v2.0.5727 was prohibited to run. Which means that none of the ASP.NET bound extensions would work: they all returned 404 errors. (Note: if you are wondering where your IIS log files are, this post shows you).